Maybe I get excited by the most primal stuff. 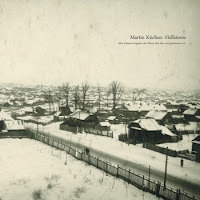 But when you experience albums like the newest solo effort, Hellstorm, from multi-reed man, Martin Kuchen, you realize why you enjoy music. The Swedish born experimentalist seems built from the same cloth as Peter Brotzmann, Roscoe Mitchell or Rashan Roland Kirk. 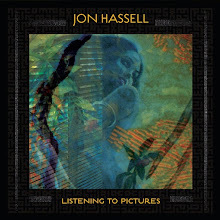 This angular and at times atmospheric sound is present in contemporaries like Ken Vandermark and Colin Stetson. But Kuchen creates haunting melodies through just a few notes and ideas. And that's what we get from Hellstorm. This is a solo document of Kuchen's family history. And while you are taken on a dark resonate path, its immensely eloquent at the same time. It moves at a much slower intense pace than his pervious solo work, The Lie & The Orphanage. Taking a long deep pace and creating circular patterns which slowly bend and become more hypnotic, "Allemagne Annee Zero," begins the journey on baritone sax. It's a somber passage filled with tiny little holes and capture your subconscious to hold you there until he says you can go. The passion, blood and anger can be felt on "Sarajevo." Kuchen's tone is long and spacious. He creates notes that start and stop like a resuscitating heart. The sound soon becomes eerie and enveloping. "Ritual Defamation" is a tidal wave moving slowly but battering against the shores of your brain with a force that will leave you scared. It's modular effects are brief but emotionally powerful. Hellstorm is a highly personal and emotional work that creates a singular soundscape for the listener. 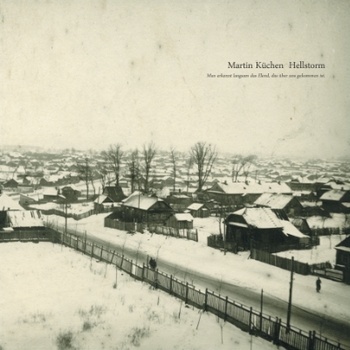 Even without knowing the full personal history, Hellstorm stands alone as one of my favourite Martin Kuchen albums. It will also become one of my top albums of the year. Primal stuff indeed. Highly Recommended.